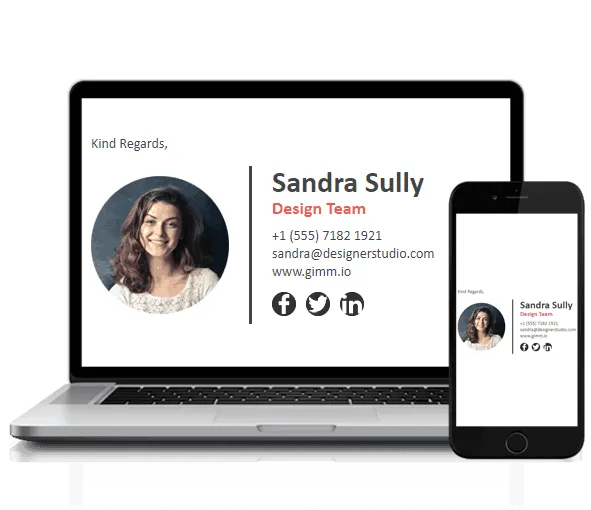 You’ve decided that you want to make a fancy new email signature, and you want it to stand out from the crowd – but how? The answer is, not with fonts that aren’t standard! 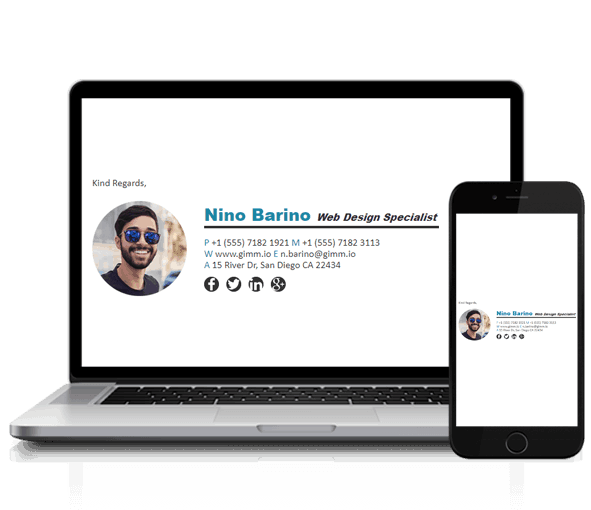 The most compatible email signatures typically use fonts that are standardized and come pre-installed in most PC’s, Mac’s, Mobile phones and Tablets (Windows, OSX, iOS operating systems). What if I don’t use these email signature safe fonts? If you don’t use one of the above fonts in your signature, chances are the recipients mail client will fallback to using the second font you specify in the font-family property (which you should be doing) of your email signature. If the second font is also unavailable, it will then use the third specified font, and so on. You never want to rely on this as a way to structure your email signature, as your email signature may look much different on the recipients mail client, than it did when you sent it, only because it will be using a different non-standard font. With this in mind, its not a good idea to use downloaded fonts such as Google Fonts in your email signature. If you’re confused about which fonts you should be using, you can always use Gimmio to create your email signature. All fonts in Gimmio are web safe fonts, but you also have the option to use a completely custom font. If you use a custom font, we automatically add fallback fonts so your signature will never fail to display on the recipients’ computer. I can see the custom font in my email client, why cant the recipient see it? Because the recipient may not have the font installed on their computer, and in order for them to see it, they would need to download the font and install it. You certainly don’t want to put that sort of stress on any of your recipients! Which font is the easiest to read for email signatures? Studies have shown that Arial in 12pt size is the easiest font to read on a computer screen. The second easiest is Verdana in a 10pt size. Notice that both of these fonts are sans-serif? Serif fonts are proven harder to read on a computer screen as the resolution of the screen makes it harder to see the strokes on the end of the letters on a serif font. You should definitely consider these things when deciding what font to use for your email signature. After all, why would you want to make your email harder to read, right? Select from a web safe font in the list above and consider what font your company uses. 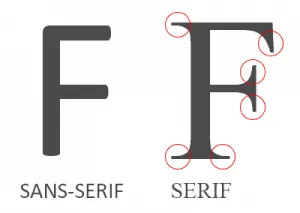 Will you be using a serif, or sans-serif font? Use 10-12pt font sizing for best readability, or you can use 14pt if your customers are visually impaired. Use the same font for the body of your email and your email signature. There is nothing worse than seeing an Arial font for the body of the email and then seeing Times New Roman font for the email signature. If your company uses Arial to send out emails, then use Arial in the email signature. You should use italics or bolding in your email signature to highlight important details as your recipients’ eyes will naturally be drawn to anything that is italic or bold. This might include your company text, such as “The taste of Japan” in the Mario Luigi template or your name and position. 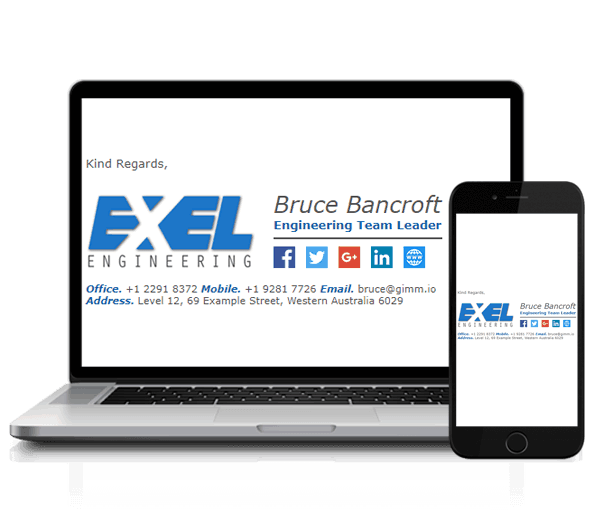 Take a look at this example to get an idea of how different font styles can be used to create a well-balanced email signature. Don’t use more than 2-3 colors in the text of your email signature. Otherwise, it will look like a rainbow (see example below). Use darker font colors such as black, dark grey, brown etc. Don’t use light colors such as yellow or pink as it becomes much harder to read the text. Again, take a look at the example below of a terrible font color choice in an email signature. Use font colors which are complementary and look really good when they are together. We cover more of this in our email signature design article. Setting a fallback font for your email signature is quite easy. Notice the font-family in the code above? Well, this specifies…you guessed it…the font family. However, the great part is that you can specify fallback fonts here by simply putting another font family after it, separated by a comma. So, in the above example, the email client would first try to render that text in the email signature using the Calibri font family, if that font is not available or not installed, then it will try to use Helvetica and so on. As you can see, specifying fallback fonts is really easy, if you know how! To help you better understand which fonts you should be using in your email signature, we’ve included a few examples along with their font details. Font Family – All fonts are placed into “families”. An example of a font family is “Helvetica” or “Times New Roman”. Font Style – Most font families have multiple styles such as normal (or regular), italic, bold, black, or a combination. Font Weight – Fonts can be further defined by their “weight”. The weight is how thick the font is. So, if you needed to use a font that is thicker than bold, you could define the font weight to be anywhere between 100-900. Higher is thicker. Font Line Height – Line height is the spacing (or padding) above and below the font itself. Font Size – The size of the font itself, usually measured in pixels (px) or point (pt). Font Color – The color of the font in hexadecimal format. In the example above, we have used at least 5 different fonts and 5 different colors. You can see (hopefully) how absolutely terrible this signature looks and how anyone viewing it would think its a joke, or a very informal email that you are sending. Believe it or not, we have seen these sorts of email signatures in our time, and its not as uncommon as you might think. If you follow our best practices above, you cant go wrong. 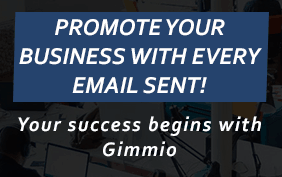 If you’re still not confident, you can always use Gimmio to make your email signature with web safe fonts.